Janove Ottesen and Magne in Bergen, May 2016. Kaizers Orchestra vocalist Janove Ottesen released his second solo album Artisten & Marlene in Norway on 10 February. The album was recorded at Duper Studio in Bergen last year. 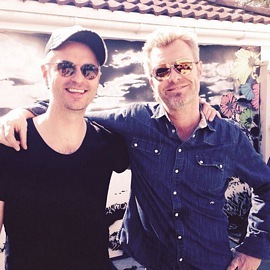 Ottesen posted a picture of himself and Magne on Instagram last year, in connection with the a-ha concert in Bergen in May. He also attended Apparatjik’s Day of the Dead performance the following month. 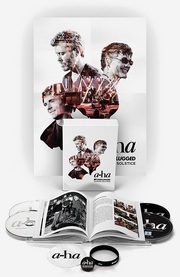 The 15-track Artisten & Marlene album is available on CD, double vinyl and digitally. In other news, Magne appeared at the Stockholm Furniture Fair on Friday, to present his new “Imprints” limited edition rug collection. See some pictures from the furniture fair here and here. For more info on the rug collection, check out a new interview with Magne by Architectural Digest.